Podophyllum hexandrum is an erect herb of 30cm height. Rhizome is creepy and leafy at top. Leaves are two and placed above the middle of the stem. 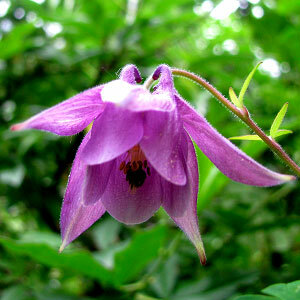 Flowers are white or pale pink, solitary or cup shaped. Sepals are 3, early falling, petals are 6, stamens are 6. Fruit is obovoid and attractive red in color when get ripen. Ban kakri, Ghee charpu and Papra. In shady places and undergrowth of forests. Rhizome is used for treating constipation, wounds, cuts, diarrhea, fever, gastric ulcer, hepatic disease, skin disease. Fruit are used to treat cough. 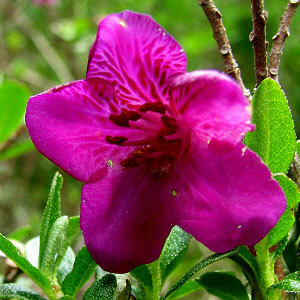 the plant contains podophyllin which interferes with cell division and can prevent the growth of cells. 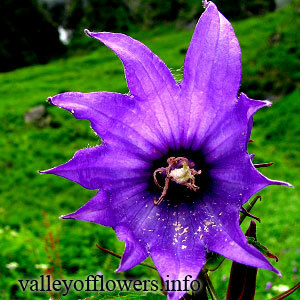 It is found near the Kanjila helipad and near the entry gate of the Valley of Flowers. Following are some of the pictures of the Podophyllum hexandrum,hope you will like them all. If yes do not forget to comment or share with your friends.